Airbnb Plus is the latest offering from Airbnb. 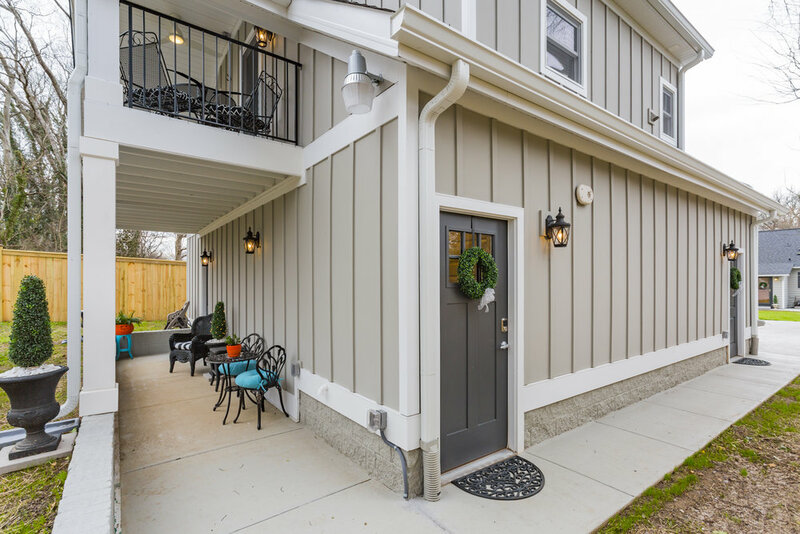 They describe it as “a new selection of only the highest quality homes with hosts known for great reviews and attention to detail.” Right now, it’s an invite-only program in Nashville, though at some point they may begin taking applications again. We’ve put together a clear, user-friendly checklist of the amenities and features that are currently required to be accepted into the Airbnb Plus program. If you received an invitation or just want to get your listing ready for when applications open, this list is for you! We hope this comprehensive and detailed list of Airbnb Plus requirements has been a help to you. We wish you much success on your hosting journey! If you’re looking for management services, let’s talk. One of the top reasons travelers choose Airbnbs over hotels is that short-term rentals come with a sense of comfort. When you walk into a well-curated Airbnb, there’s the soft smell of scented candles and fresh linen, comfy couches to sink into, and a feeling similar to the one you get when you come home after a long day. There’s no lingering cologne, no questionable stains on gritty carpet, or mass-produced art. Just a home waiting to welcome you for however long you happen to be in town. So how do you achieve this feeling in your short-term rental? My favorite way to create this irresistible feeling is through well-thought-out design, giving the place a comforting, yet unique vibe worthy of another stay and, of course, a great review. Here are my top 5 tips for creating an aesthetic all guests will love. 1. Give the place personality. First and foremost, you want your Airbnb to have personality. But you have to be careful—too many eclectic pieces can make the space feel cluttered and uncoordinated. I suggest choosing a simple color pallet (maybe 3-5 colors, using neutrals and one pop of color). Then choose sheets, pillows, and other textiles that go along with that pallet, without exception. Patterns are fine, just limit them and make sure they coordinate. Pinterest is a great tool to use to stay organized and on-task as you develop your home’s aesthetic. 2. Don’t be afraid to ask for help. Designing a space can be tough and intimidating. If you don’t feel like it comes naturally to you and is causing you stress, don’t be afraid to ask for help. Enlist a friend who has a good eye or invest in a design service. Check out Houzz for great Nashville recommendations. Just make sure the designer is able to achieve the aesthetic you’re going for and has a good track record of staying within budget. Ask for references and be sure to contact them. 3. When it comes to art, shop local. Nashville has a ton of great art and supporting local artists is something you could even mention in your listing. You might consider going to the Art Crawl on the first Saturday of each month and seeing what original work you can score. Or, you can visit Anderson Design Group, DCXV, or Hatch Show Print if you have something specific in mind and don’t want to hunt. Just make sure you invest in a nice frame consistent with the space’s aesthetic if you purchase a print. Whether you handle the design yourself or someone is choosing them for you and getting your approval, be sure you go for things that are unique, engaging, and functional. Aside from a television with cable or a streaming device (like a Roku), I love to include board games, short books around 128 pages that can be read in a weekend, and, as mentioned in a previous post, a Nashville guide so guests can chill out, flip through it, and decide what spots to visit. Remember, you’re welcome to use ours! 5. Envision a stay in your Airbnb, pretending it doesn’t belong to you. Walk in the front door and try to pretend you’re seeing the space for the first time. Think of what you would like to have access to when staying somewhere. From sturdy coat hooks and an umbrella stand by the front door to easy access to a plug by the bed to charge your phone, every amenity is important. I like to include an extension cord and even a flashlight just in case a storm knocks the power out. Just remember, each little choice you make adds up, eventually leading to an unforgettable guest experience. Those who stay in your short-term rental will be thankful to have a tranquil, well-curated space to stay in. If you do a good enough job, the experience may turn them off of hotels forever—now THAT we can get behind. Still feeling a little lost on what to have on-hand in your Airbnb? Don't forget to check out the checklist in our ebook! Haven't downloaded it yet? Let's fix that! You can get it free here. We couldn’t agree more. This, in conjunction with the fact that our city experienced a huge influx thanks to the Nashville TV show means that Nashvegas has become a buzzed-about destination overnight. In fact, Nashville was voted one of the best places to visit in 2017 by Travel + Leisure magazine. And who can ignore that, thanks to a plethora of bars and wide acceptance of day-drinking, we’ve also become a mecca for bachelor and bachelorette parties, which last year alone brought in a record high of 13.1 million visitors, raking in nearly $5 billion in visitor spending (Tennessean.com). So how can you, an excited Airbnb host, take advantage of the massive influx of visitors our city is seeing? Make Your Listing Stand Out. Make sure all photos advertising your listing are high-quality. In fact, hire a photographer if necessary. You can use Airbnb's process to get a quote from someone, or post on your local Facebook page and see if there are local photographers looking for work. Additionally, make sure you use captivating descriptions and an eye-catching listing title. Make sure that each piece appeals to the groups you want to host and/or the events you want to bring people in for. Be sure to emphasize how close you are to key locations. Nothing is more frustrating for a guest than to contact a host and to get a response days later or, even worse, no response at all. If you want to appeal to guests and to be competitive, you need to be quick to respond. Hosts with Instant Book turned on get higher ranking in searches. Don’t worry, you’ll still have control over who you rent to! Find more information on Instant Book here. Make Your Listing Business Travel Ready. This link offers the info on what amenities you must have for your listing to qualify as Business Travel Ready. Add any missing amenities, then update your listing to reflect all these items. At that point, your listing will automatically qualify as Business Travel Ready, which is a filter option guests can utilize when searching for a property that fits their needs. Take a look at how much other hosts are charging in your area and make sure that your pricing is competitive. Be sure to adjust for seasons and special events happening in town. If you’re willing to spend a little money to attract visitors to your property, a targeted Facebook ad is always a great way to get in front of those you’re trying to reach. Try targeting engaged men and women aged 21+ in the South. For a tutorial on Facebook ads, check out this great resource. Be an Expert on All Things Local. Make sure to stay on top of events, including big concerts, sporting events, and conventions happening in the area and mention them in your listing (and your ads). You may also consider mentioning some local businesses, teasing your local knowledge, and promising a guide will await them including only the best local spots, because our city stretches far beyond Broadway! Of course, when visitors arrive, follow through on this promise with a quality city guide. Empower your guests to have an authentic local experience by promoting local businesses with a guide to the city. Don’t have the time or energy to make one of your own? No problem, you can use ours! You can find our Nashville Guide here. You could also consider a gift basket to welcome guests including Christie Cookies, Olive & Sinclair Chocolates, and even a bottle of wine from Arrington Vineyards. Write Reviews to Get Reviews. When guests leave, encourage them to write you a review, since great reviews are your golden ticket to more visitors. A great way to do this is to be quick to review your guests. This often acts as a prompt, gently nudging them to write their review of their stay. We’re so fortunate to live in a city that people are flocking to. You have the power to take advantage of this exciting time in our city’s history—you just have to have the drive and the right tools. Haven't checked out our ebook yet? Please do! It's chock full of tips on starting your Airbnb. Maybe you're far enough along that you don't need it, but perhaps a friend does? You (or your friend) can grab it here free! © Rest Easy Nashville, LLC. All Rights Reserved. Don't steal words, images, or intellectual property — or we'll have to report you to your mother.